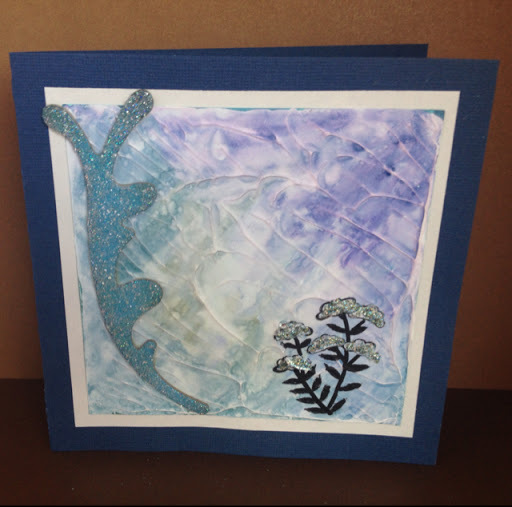 The next I did was with hologram embossing powder, which made the chipboard piece semi see-through. 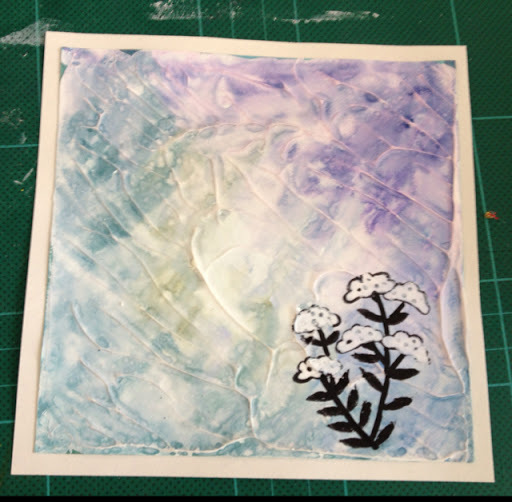 I used the other piece from the gesso bg that I made a while ago, and stamped it with a StazOn black flower. Used a black Posca pen to fill in the gaps and leaves, and a white one for the flowers. Mounted it on a white paper. Also added some Stickles to the flowers to match, and the chipboard. And finally I put it on a dark blue/purple card.